"The GBC (Governing Body Commission) has been established by His Divine Grace A.C. Bhaktivedanta Swami Prabhupada to represent Him in carrying out the responsibility of managing the international Society for Krishna Consciousness of which He is the Founder-Acarya and supreme authority. The GBC accepts as its life and soul His divine instructions and recognizes that it is completely dependent on His mercy in all respects. The GBC has no other function or purpose other than to execute the instructions so kindly given by His Divine Grace and preserve and spread his teachings to the world in their pure form". "GBC men should not dictate very much, simply supervise and see that the standards are maintained." Srila Prabhupada: "I am practically seeing that as soon as they, our students, begin to learn a little Sanskrit, they immediately feel they have become more than their guru. Then the policy is to kill their guru and become guru themselves". "As soon as he learns that Guru Maharaj is dead, now I am so advanced I can kill guru and become guru. Then he is finished." (Srila Prabhupada 1976). NOT THAT YOU TAKE THE PLACE OF GURU. THAT IS NONSENSE, VERY DANGEROUS. Then everything will be spoiled. As soon as you become AMBITIOUS to TAKE THE PLACE of GURU -gurusuh nara matih. That is MATERIAL DISEASE. Srila Prabhupada: We haven't got to manufacture. To manufacture ideas is troublesome. Why should we take the trouble? And as soon as you want to manufacture something to my...., that is DANGEROUS. ...That you are singing every day, "what our guru has said, that is our life and soul." ...As soon as this POISON will come -suppress guru and I become Brahman- everything FINISHED. Spiritual life is finished. Gaudiya Matha finished, ...VIOLATED the orders of Guru Maharaja. Srila Prabhupada: "So far as personal association with Guru is concerned, I was only with Guru Maharaj 4 or 5 times, but I have never left his association, not even for a moment. Because I am following his instruction, I have never felt any separation. There are some of my Godbrothers here in India, who had constant personal association with Guru Maharaja, but who are neglecting his orders." "But I have been very much disturbed recently by the meeting which you all have had in New York, wherein you have passed so many resolutions and elected Atreya Rsi to GBC Secretary, and made so many other changes. I am very much puzzled by the whole business. Therefore I have not approved of it, and you may by now have received my letter why I have temporarily suspended the GBC. From now on, the temples will operate independently and try to improve their spiritual life more carefully, so there is no more need for such financial arrangement of centralization, as you have proposed. "The meeting of the GBC appeared to be very unconstitutional, because all the men were not informed or invited. Syamasundara was not invited, Sudama was not invited, Krishna das was not invited, Tamala Krishna was not invited, neither I was informed. Why? What will happen when I am not here, shall everything be spoiled by GBC? So for the time being, let the GBC activities be suspended until I thoroughly revise the whole procedure. In the meantime, you do your duty as president of Hamburg Temple, and try to improve spiritually. Our spiritual way should strictly observe the following points especially: (1). Neatness and cleanliness of all personal bodies. (I still see those who are initiated as Brahmins, they do not wash their hand after eating even; of course, there may be so many defects due to your births in non-Brahmin families, but how long it shall go on? It is very easy thing. ); (2). Chanting 16 rounds daily. (I don't think everyone is following these principles. ); (3) Temple worship, which should be performed rigidly between four and ten a.m. (I find that the devotees are still sleeping up to six, seven o'clock.) So in the GBC Agenda I do not find any such programs for reforming our past bad habits. So kindly as President of Hamburg center you try to observe yourself all the regulative principles and see all the members are following. "Srila Prabhupada on the Role of the GBC"
“GBC does not mean to control a center. GBC means to see that the activities of a center go on nicely. I do not know why Tamala is exercising his absolute authority. That is not the business of GBC. The president, treasurer and secretary are responsible for managing the center. GBC is to see that things are going nicely but not to exert absolute authority. That is not in the power of GBC. Tamala should not do like that. Srila Prabhupada, when he was personally present, was the checks and balances on the decisions of the GBC. Now however, the only checks and balances is carried out by the GBC members themselves. And when some member does go “off” or beyond the threshold of their power and responsibility of deputation, it is the GBC only that becomes the “judge and jury”. Unfortunately, that does leave a huge loophole for possible abuse. Many devotees who are or used to be in the formal ISKCON organization have witnessed that without their ever well-wisher, Srila Prabhupada, in the foreground and background of the ISKCON Society, standing ready to correct any situation that needS be, placing all the executive, legislative, and judicial policies in the hands of the exclusive GBC members doesn’t always equal justice, what to speak of accountability. Why do we have to constantly be dependent on our imperfect and speculative approaches to solutions, and utterly faithful to their innate but defective choice of “change everything for change’s sake”, a fault that Srila Prabhupada pointed out was in our American psyche? Srila Prabhupada left an authorized and hand-signature document to protect his Society on a management level, that would disallow the GBC from having too much power — power that could even lead to corruption and breed a disregard of fellow Vaishnavas, who are the major body of the Sankirtan Movement. Power does sometimes offer an infesting place for blindness to reason, callousness to the welfare of others, and disregard of the whole picture for the sake of one’s own, or for “my wants”. None of such turbulence has a place in Lord Caitanya’s Sankirtan Movement. It is only to purify the heart. Yes, the document is indeed there, but perhaps locked carefully away in the GBC’s archives - Srila Prabhupada’s "Direction of Management". Safeguards for protecting all the managers of Srila Prabhupada’s ISKCON - both temple presidents and the GBC persons themselves, are thoughtfully and logically presented by the pure devotee, Srila Prabhupada himself, with an inclusive system to keep the “growing moss of illusion and attachment” from the head and heart of ISKCON’s managers and “watchdogs”. It’s a rotation system of responsibility, accountability, and also carefully maintains our most important bhakti principle of renunciation. It’s special contribution of content is in guiding the most important level of leadership of our ISKCON Society, the GBC or Governing Body Commission, in maintaining both it’s effectiveness of leadership, performance, and purity, supervised by the bigger body of ISKCON managers - the temple presidents. One excuse often raised, why not to implement this saving and sacred document, which was chalked out by our Founder-Acarya, is the false impression and pride that “no one else is qualified to replace me”. Overlook and excuse the mistakes that such a person makes in their duration of office, what to speak of the mistake of falling prey to false prestige, the mentality that they and only they can guide and protect our ISKCON Society. But, isn’t it “Krishna who is the ability in man”? And how many times did Srila Prabhupada say that if you are sincere (keyword - ’sincere’) Krishna will give you the intelligence to perform your service? We have all seen that in our personal devotional lives. On the other hand, sometimes people in high positions of control cannot even see their own weaknesses due to the blindness and infection of attachment to control and false prestige, which the position itself, or the wrong assimilation of it, may appear to create. Another excuse is an old one, that is cautioned by our acaryas - that of tenaciously clinging to the illusion of position, to the material power, and the thrills and frills it provides. This mantra is not in Rupa Goswami’s Upadesamrta, however. The last excuse is that the GBC person is there for life, which some give evidence from Srila Prabhupada’s own words during his last days. Ideally, if the GBC person is responsible, capable, pure and loyal, and effective as a “grower” of the mission, honest, unattached, etc., then the service he may offer may be valuable for some time. But what if there become apparent issues of accountability and lack of performance, and maybe even an occasional rise of corruption? Then the body of the GBC is “locked” in a mechanism only they have access to - of right, denial, and sanction. That is the danger, and something Srila Prabhupada protects his ISKCON Society from, and even the GBC persons themselves from, in his “Direction of Management” proclamation and device. 95% of the leadership of ISKCON, the temple presidents, are completely subordinate to this exclusive club of the GBC, whereby the temple presidents have been put outside “the locked doors”, and have no bearing or reaction reference to enforce both performance and accountability in the GBC. In today’s GBC system of management, the temple president’s are lucky to govern their own temples, if the GBC doesn’t manipulate their removal by even unethical means, as recently happened in the USA in the Phoenix temple. Srila Prabhupada’s “Direction of Management” paints a different picture of cooperation and trust between the two most important levels of management in ISKCON. Accountability, or lack of it, is not tilted in that scenario in favor of the GBC. That would be dangerous in any corporation management scheme. Why? As the old saying goes, “power corrupts and absolute power corrupts absolutely”. We have to protect all our leaders from that pitfall, what to speak of Srila Prabhupada’s mission. Srila Prabhupada was thoughtful enough, and intelligent enough, to consider all options, opportunities, and also deviations in protecting and maintaining “his” Society. In following the “Direction of Management”, ISKCON remains his, and does not become the GBC’s or the initiating guru’s, and leaves no room for infestation of misuse or abuse of powers. Anyone who does want to abuse Srila Prabhupada’s authority, may be very reluctant and non-receptive to this proposal. But where then, is their action and proposal for GBC accountability??? There isn’t any, in discussion on the table or the floor, that I am aware of. And then, who is more intelligent in safe-guarding ISKCON, Srila Prabhupada or……? Our example and present situation today is not hypothetical, but rather an urgent need for the protection and survival of the pure Bhakti Movement Srila Prabhupada founded. We, the temple presidents, should request and demand the immediate institution of the device, “Direction of Management”, which the father of our ISKCON has willed to all his “children”. As temple leaders, we all carry the will and mission of protecting and perpetuating Srila Prabhupada’s institution. Nothing else, not brains nor brawn, but “purity, is the force” in that matter. Perhaps we cannot depend on the GBC to acknowledge the present need or even the emergency, of implementing Srila Prabhupada’s “Direction of Management”, or even to recognize the danger of giving themselves absolute authority with no accountability. 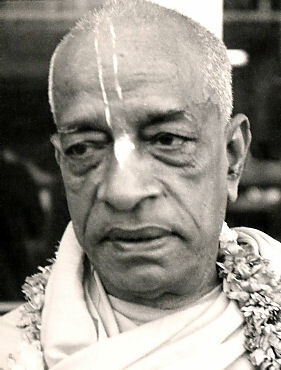 But for other leaders in the ISKCON Society, the temple presidents, who also care very much about the welfare and perpetuance of this pure Sankirtan Movement, it is in my and many other senior devotee’s humble opinion that their responsibility lay in encouraging and pushing this golden management directive of His Divine Grace Srila Prabhupada to the forefront. Srila Prabhupada’s Direction of Management document.